The Proton Synchrotron (PS), which was CERN’s first synchrotron and which turns 60 this year, once held the record for the particle accelerator with the highest energy. Today, it forms a key link in CERN’s accelerator complex, mainly accelerating protons to 26 GeV before sending them to the Super Proton Synchrotron (SPS), but also delivering particles to several experimental areas such as the Antiproton Decelerator (AD). Over the course of Long Shutdown 2 (LS2), the PS will undergo a major overhaul to prepare it for the higher injection and beam intensities of the LHC’s Run 3 as well as for the High-Luminosity LHC. Specifically, one of the elements, known as the pole-face windings, which is located between the beam pipe and the magnet yoke, needs replacing. In order to reach into the magnet innards to replace these elements, the magnet units have to be transferred to a workshop in building 151. Once disconnected, each magnet is placed onto a small locomotive system that drives them to the workshops. The locomotives themselves are over 50 years old, and their movement must be delicately managed. It takes ten hours to extract one magnet. 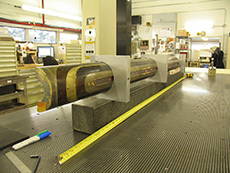 So far, six magnets have been taken to the workshop and this work will last until 18 October 2019. The workshop where the magnets are being treated is divided into two sections. In the first room, the vacuum chamber of the magnets is cut so as to access the pole-face windings. The magnet units are then taken to the second room, where prefabricated replacements are installed. As mentioned in the previous LS2 Report, the PS Booster will see an increase in the energy it imparts to accelerating protons, from 1.4 GeV to 2 GeV. A new set of quadrupole magnets will be installed along the Booster-to-PS injection line, to increase the focusing strength required for the higher-energy beams. Higher-energy beams require higher-energy injection elements; therefore some elements will be replaced in the PS injection region as part of the LHC Injectors Upgrade (LIU) project, namely septum 42, kicker 45 and five bumper magnets. Other improvements as part of the LIU project include the new cooling systems being installed to increase the cooling capacity of the PS. A new cooling station is being built at building 355, while one cooling tower in building 255 is being upgraded. The TT2 line, which is involved in the transfer from the PS to the SPS, will have its cooling system decoupled from the Booster’s, to allow the PS to operate independent of the Booster schedule. “The internal dumps of the PS, which are used in case the beam needs to be stopped, are also being changed, as are some other intercepting devices,” explains Pedrosa. The LS2 operations are on a tight schedule,” notes Pedrosa, pointing out that works being performed on several interconnected systems create constraints for what can be done concurrently. As LS2 proceeds, we will bring you more news about the PS, including the installation of new instrumentation in wire scanners that help with beam-size measurement, an upgraded transverse-feedback system to stabilise the beam and more. Last month, a new superconducting magnet developed and fabricated at Fermilab reached its design field of 11.5 Tesla at a temperature nearly as cold as outer space. It is the first successful twin-aperture accelerator magnet made of niobium-3-tin in the world. The advancements in niobium-3-tin, or Nb3Sn, magnet technology and the ongoing U.S. collaboration with CERN on the development of these and other Nb3Sn magnets are enabling the use of this innovative technology for future upgrades of the Large Hadron Collider (LHC). They may also provide the cornerstone for future circular machines of interest to the worldwide high-energy physics community. Because of the exceptional challenges — Nb3Sn is brittle and requires high-temperature processing — this important milestone was achieved at Fermilab after decades of worldwide R&D efforts both in the Nb3Sn conductor itself and in associated magnet technologies. Superconducting magnets are at the heart of most particle accelerators for fundamental science as well as other scientific and technological applications. Superconductivity is also being explored for use in biosensors and quantum computing. Thanks to Nb3Sn’s stronger superconducting properties, it enables magnets of larger field than any in current particle accelerators. As a comparison, the niobium-titanium dipole magnets built in the early 1980s for the Tevatron particle collider produced about 4 Tesla to bend the proton and antiproton beams around the ring. The most powerful niobium-titanium magnets used in the LHC operate at roughly 8 Tesla. The new niobium-3-tin magnet creates a significantly stronger field. Because the Tevatron accelerated positively charged protons and negatively charged antiprotons, its magnets had only one aperture. By contrast, the LHC uses two proton beams. This requires two-aperture magnets with fields in opposite directions. And because the LHC collides beams at higher energies, it requires larger magnetic fields. 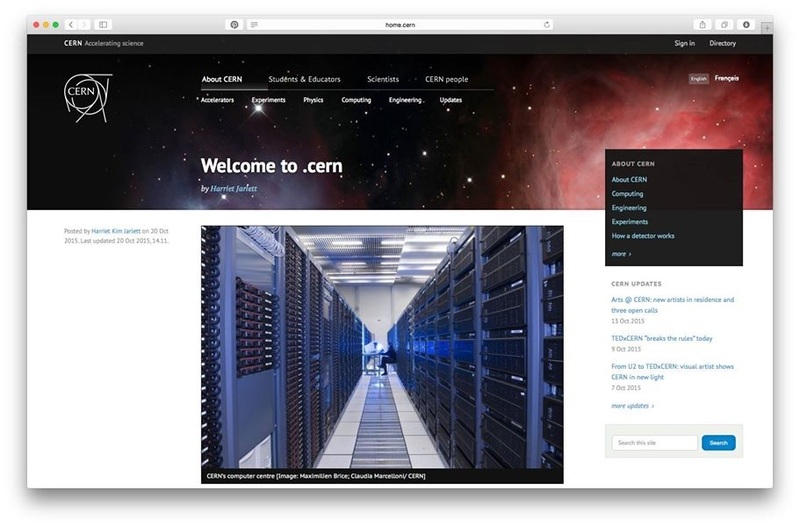 In the process of upgrading the LHC and in conceiving future particle accelerators and detectors, the high-energy physics community is investing as never before in high-field magnet technologies. This creative process involves the United States, Europe, Japan and other Asian countries. The latest strategic plan for U.S. high-energy physics, the 2014 report by the Particle Physics Project Prioritization Panel, endorses continued U.S. leadership in superconducting magnet technology for future particle physics programs. The U.S. LHC Accelerator Research Program (LARP), which comprises four DOE national laboratories — Berkeley Lab, Brookhaven Lab, Fermilab and SLAC — plays a key role in this strategy. The 15-year investment in Nb3Sn technology places the Fermilab team led by scientist Alexander Zlobin at the forefront of this effort. The Fermilab High-Field Magnet Group, in collaboration with U.S. LARP and CERN, built the first reproducible series in the world of single-aperture 10- to 12-Tesla accelerator-quality dipoles and quadrupoles made of Nb3Sn, establishing a strong foundation for the LHC luminosity upgrade at CERN. The laboratory has consistently carried out in parallel an assertive superconductor R&D program as key to the magnet success. Coordination with industry and universities has been critical to improve the performance of the next generation of high-field accelerator magnets. The next step is to develop 15-Tesla Nb3Sn accelerator magnets for a future very high-energy proton-proton collider. The use of high-temperature superconductors is also becoming a realistic prospect for generating even larger magnetic fields. An ultimate goal is to develop magnet technologies based on combining high- and low-temperature superconductors for accelerator magnets above 20 Tesla. The robust and versatile infrastructure that was developed at Fermilab, together with the expertise acquired by the magnet scientists and engineers in design and analysis tools for superconducting materials and magnets, makes Fermilab an ideal setting to look to the future of high-field magnet research. “The U.S. LHC Accelerator Program (LARP) has successfully tested a powerful superconducting quadrupole magnet that will play a key role in developing a new beam focusing system for CERN’s Large Hadron Collider (LHC). 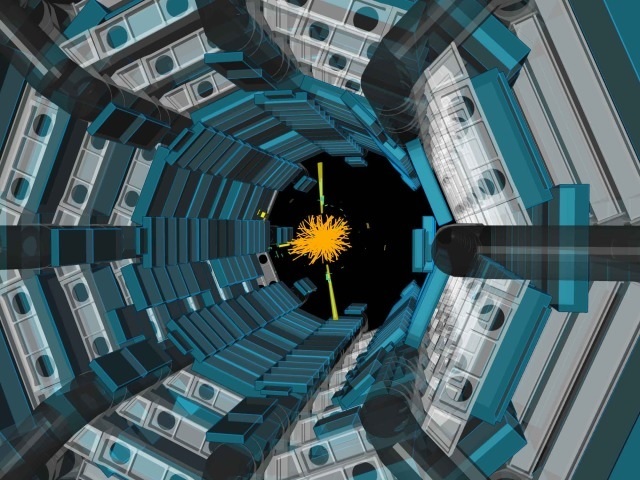 This advanced system, together with other major upgrades to be implemented over the next decade, will allow the LHC to produce 10 times more high-energy collisions than it was originally designed for. HQ02a is a superconducting quadrupole magnet made from high performance niobium tin that will play a key role in developing a new beam focusing system for CERN’s Large Hadron Collider. No image credit. Dubbed HQ02a, the latest in LARP’s series of High-Field Quadrupole magnets is wound with cables of the brittle but high-performance superconductor niobium tin (Nb3Sn). Compared to the final-focus quadrupoles presently in place at the LHC, which are made with niobium titanium, HQ02a has a larger aperture and superconducting coils designed to operate at a higher magnetic field. In a recent test at the Fermi National Accelerator Laboratory (Fermilab), HQ02a achieved all its challenging objectives. LARP is a collaboration among the U.S Department of Energy’s Brookhaven National Laboratory (Brookhaven), Fermilab, Lawrence Berkeley National Laboratory (Berkeley Lab), and the SLAC National Accelerator Laboratory (SLAC), working in close partnership with CERN. 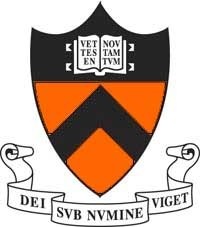 LARP has also supported research at the University of Texas at Austin and Old Dominion University. “Recently the Technical Division’s High Field Magnet Group identified and tested a new insulating compound that could help superconducting magnets survive under the harsh conditions of many future accelerator projects. The new component, called Matrimid® and manufactured by the company Huntsman, can last longer and resist radiation better than the traditional epoxy-based insulation used for magnet coils. 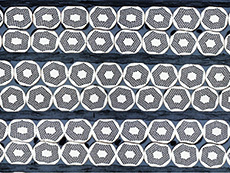 Recently, engineer Steve Krave and lead engineer Rodger Bossert produced 1- and 2-meter long superconducting coils filled with Matrimid. Tests have shown that the new insulation holds up well to extreme fabrication and operating environments.